SailCoach has been operating European Laser Charters for well over 23 years and we take pride in providing the best service as we are always on site to help sort out those little problems. There is no other organisation that offers such a wide choice of regattas and services. Our goal is to enable Laser sailors from any part of the world to compete on the European regatta circuit or participate in our training clinics with good equipment, hassle free. We are Laser sailors ourselves, therefore we understand your needs. 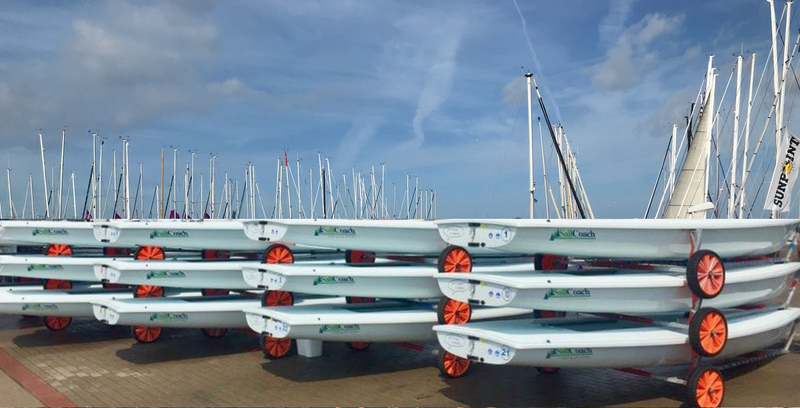 If you are thinking of coming to Europe then please ask us about putting a Laser charter package together, as we can take a lot of the effort out of competing on the European Regatta Circuit. We will do our very best to put a package together that suit your individual needs be you a Federation or a individual Laser sailor. * Racing padded toe strap, shockcord and toe strap line. You may not make any alterations to any part of the boat, its equipment, spars or fittings, even if subsequently replaced, without approval from SailCoach. Please remember all the small blocks for the control systems, as we cannot supply these. Masts are available in the charter price however as you can appreciate it’s very difficult to keep them in good racing order and if you are particular about you mast we suggest you bring your own. If you need us to included foils with the charter, we can do that for an additional fee of €50 on top of the charter fee as they are particularly vulnerable to wear and tear. Any significant chips will result in a €50 fine deducted from the damage deposit. 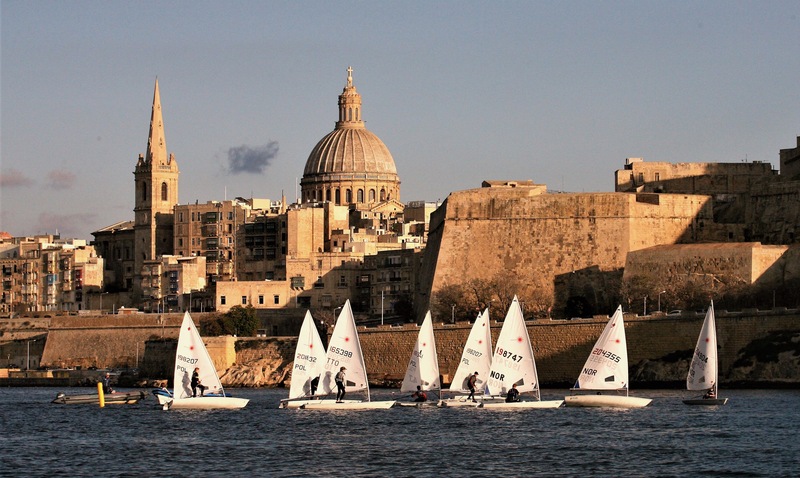 Boat Insurance is not covered within the charter price and most European regatta organizers will ask for it in writing. You are responsible for your own insurance at the regattas, therefore you can either transfer your own Laser insurance for the charter period or buy third party cover (see below). Finding Laser insurance for regattas can be difficult, however in the last year or two a new German company (VDWS Service GmbH) has come onto the scene offering third party insurance. This insurance package meets the ILCA requirements. The cost of the third party insurance is around €45 and it lasts for a year, so you can use it for more than one regatta. We have given you their contact details below. All Lasers are chartered subject to availability. A €200 non-refundable deposit must be received by SailCoach before a booking is confirmed. The balance payment must be received by us at least 30 days before the start of the charter period. Palma, Hyéres, Delta Lloyd and Kiel regattas, Laser Worlds and Europeans, Youth European all have a very high demand for Laser Charters each year. Please e-mail us first to see what our availability is for the regatta you would like to attend. Please do not make a any payment onto we confirm availability. 1. Cancellation 30 days before the start date of the charter period: full refund (60 days for High Season). 2. Cancellation within 30 days before the start date of the charter period, forfeit deposit (within 60 days for High Season). 3. Cancellation within 29 days before the start date of the charter period, forfeit full fee (within 59 days for High Season). We strongly recommend that charter clients should ensure they have Travel Insurance. In exceptional circumstances SailCoach may offer you credit to partake in another SailCoach activity within 6 months of the original start date. This decision is at the discretion of SailCoach staff. Low Season is from September to March / High Season April to August.